Remove the rear combination light. 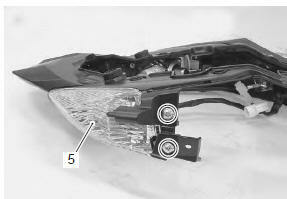 Refer to “rear combination light removal and installation” . Disconnect the lead wire coupler (1). Remove the side frame cover (3) from the center frame cover (4). 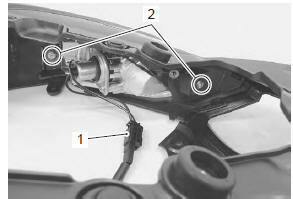 Refer to “frame cover construction” in section 9d . 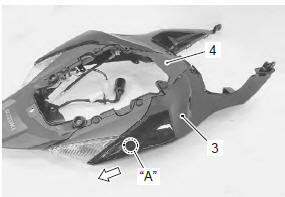 Remove the rear turn signal light (5). Install the rear turn signal light in the reverse order of removal.